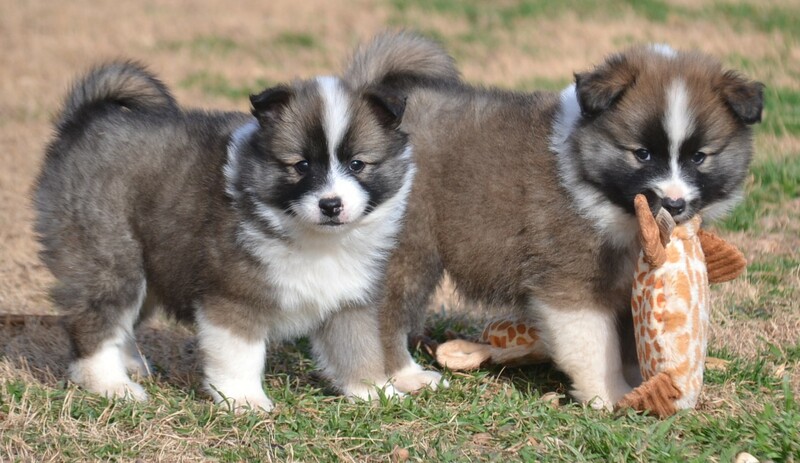 The Icelandic Sheepdog is an ancient Scandanavian breed dating back to the Vikings, and is Iceland’s only native breed. 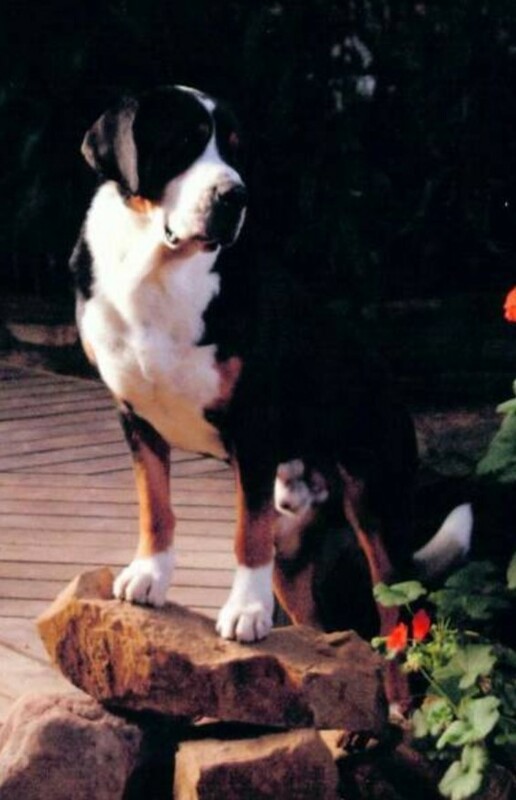 A strong, sturdy dog, good natured dog on the small side of medium sized, a “big dog” in a small body. The Icie is a curious and happy dog, with high self-esteem and determination. They are tough and enduring, agile, very alert, lively, inquisitive, playful, unafraid, non-aggressive, exceptionally friendly and an enthusiastic greeter. 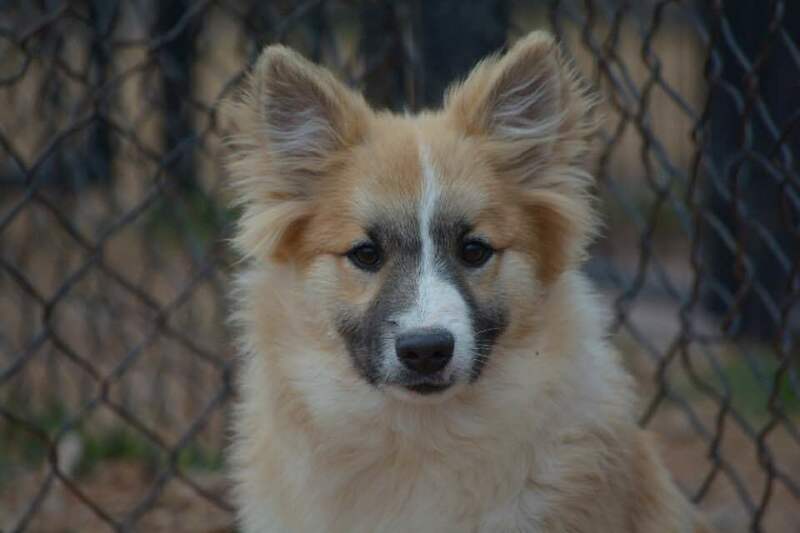 The Icelandic Sheepdog has the classic Nordic type, with prick ears, tail curled over it’s back, slightly longer than tall with good body substance for it’s size. 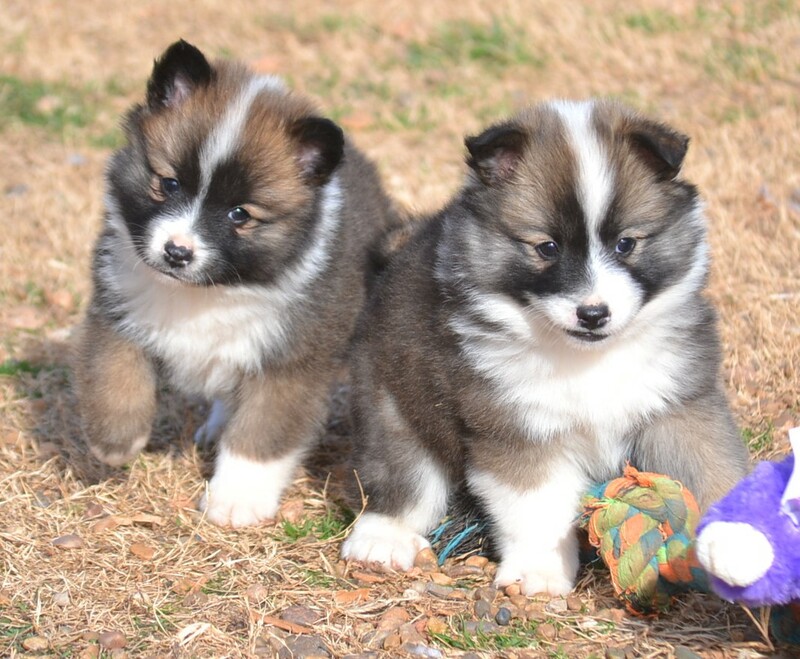 Icelandic Sheepdogs should have double dewclaws in the rear, and are prized when they have double dewclaws in the front as well, classified as “alspora” when they have double dewclaws on all four feet. Unless seriously injured, Icies should always keep their dewclaws, their extra toes provide extra traction. Icies have a thick and weatherproof double coat, and come in two coat lengths, long and short. Ideal size is 18 inches tall for males, 16.5 inches for females, and ranging between 30-38 lbs for males and 25-30 lbs lbs for females. The original jobs of the Icelandic Sheepdog included herding and protecting livestock, alerting as a watchdog, as well as search and rescue dog. The Icie would maneuver primarily sheep and ponies, seek out livestock lost in snow, protect lambs from birds of prey, watch the children on the farm and participate in other helpful methods for a typical farm dog. Primarily a family pet today, they are capable of competing in multiple dog sports, enthusiastically working with their owner in sports and activities from agility to therapy. 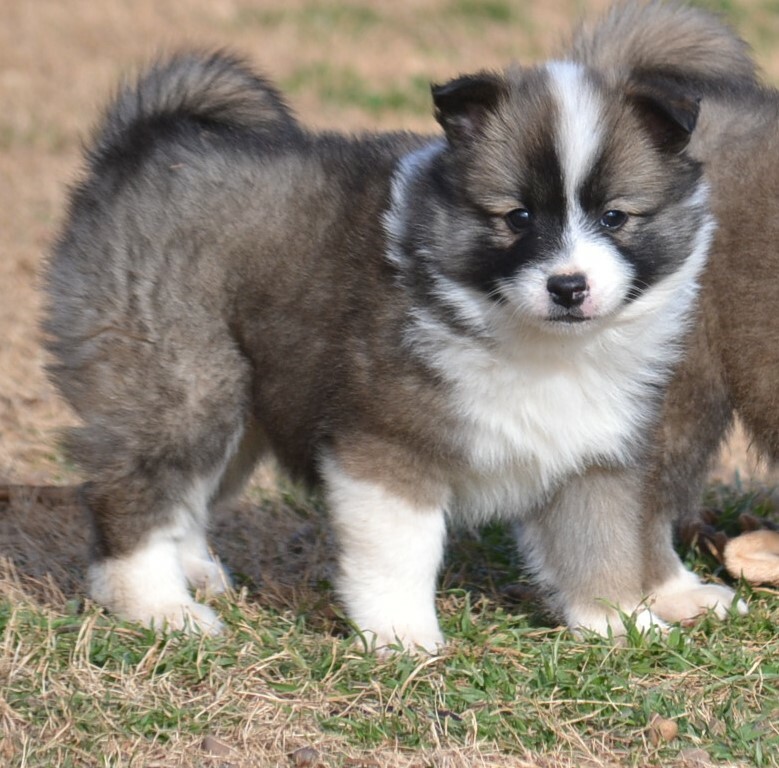 The Icelandic Sheepdog easily dates back to 874 and the time of the Norwegian Viking colonization of Iceland. 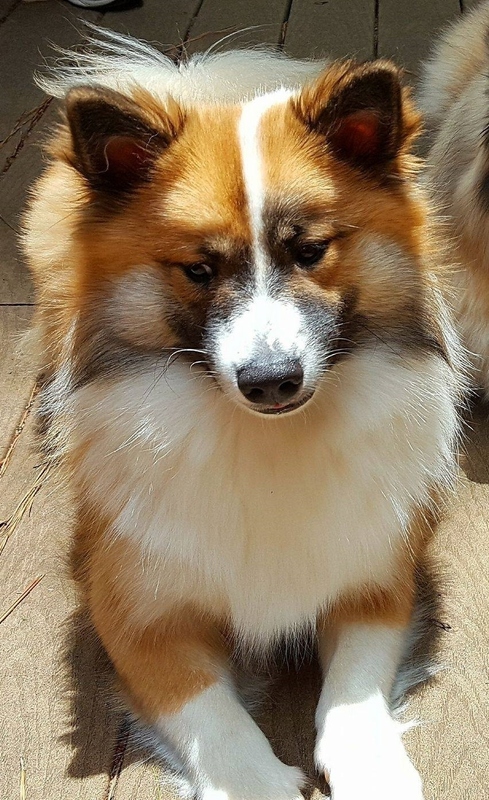 Iceland’s only Native breed, the Icelandic Sheepdog became key to livestock management and survival in their harsh climate. Farms typically kept multiple dogs to aid in farm life and the breed flourished until the mid 1800s. 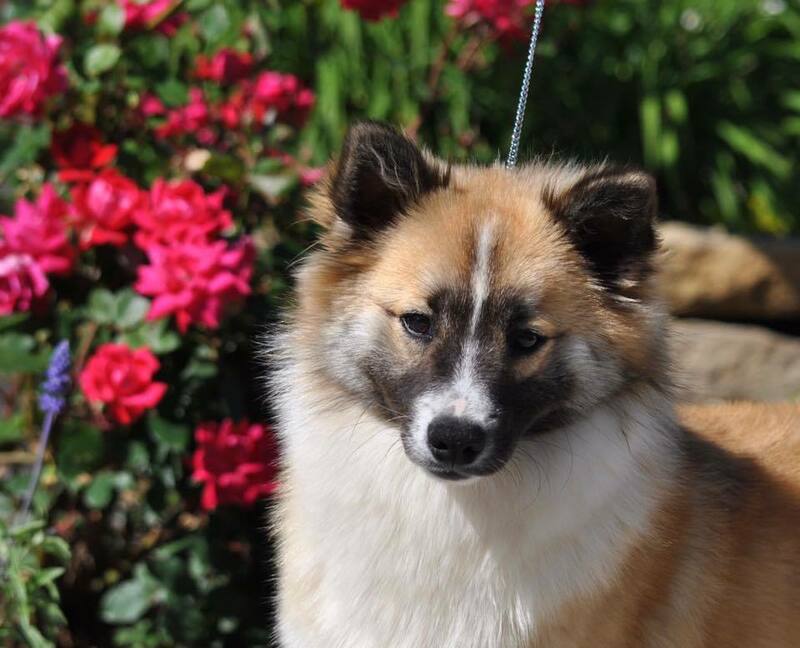 Pandemics of illness and distemper as well as high taxes placed on dogs, along with the importation of other breeds essentially decimated the native dog population, making the true Icelandic Sheepdog a rarity only found in isolated rural areas. In the early 1900s, Iceland began efforts to save their native breed. 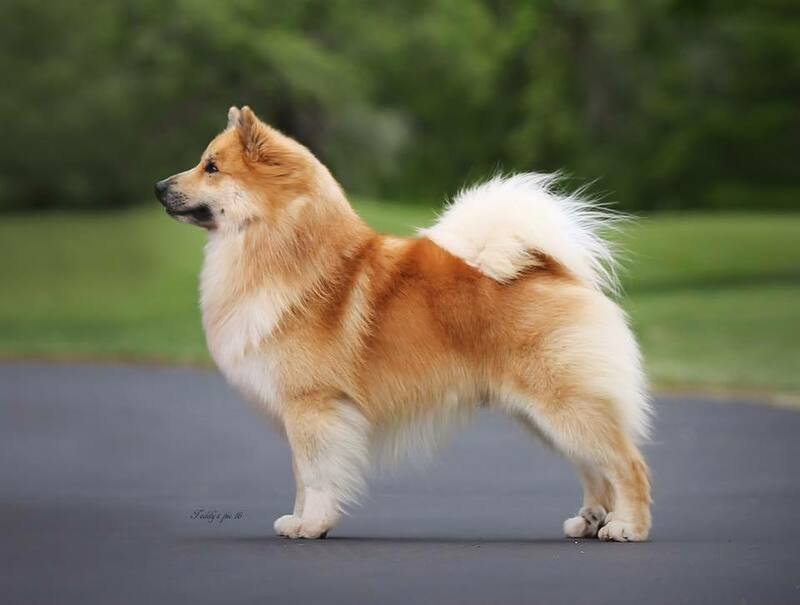 Dog importation was banned, Icelandic Sheepdogs true to type were registered, Icelandic Sheepdogs in other countries began being registered in those countries and they became eligible for competition at dog shows. Despite the efforts, by the 1950s, the breed was almost extinct and several were brought to California to save the breed from extinction. Clear plans were mapped out in Iceland by the 60s to bring the Icie back in its native home. 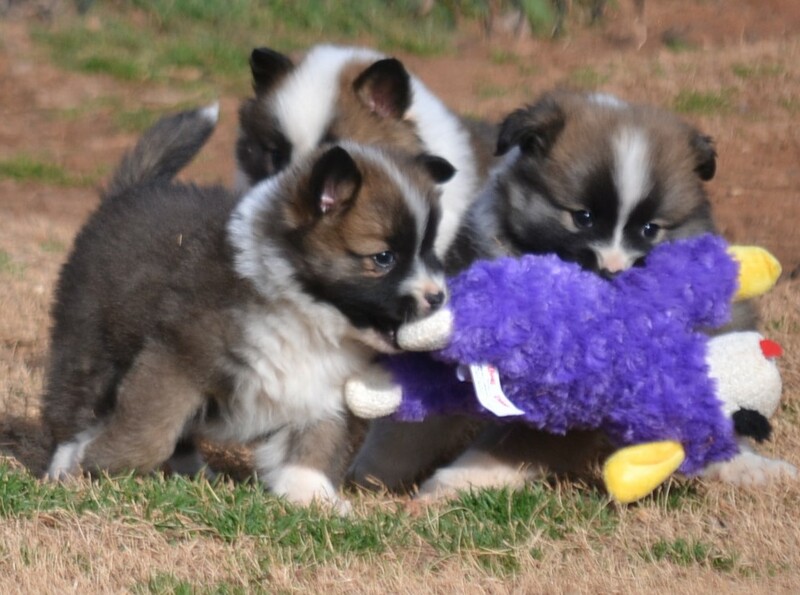 Today, the popularity of the Icelandic Sheepdog has increased, and while not common, it is no longer in serious danger with strong pockets of Icelandic Sheepdog enthusiasts in Iceland, Europe, and the USA, registering roughly 5000 Icies world wide. First and foremost, the Icie should be visible when working and especially when working in poor light/poor weather conditions. Short days in winter along with fog, snow and rain can lead to poor visibility, but the working dog that can always be seen is quite advantageous, even at a distance. 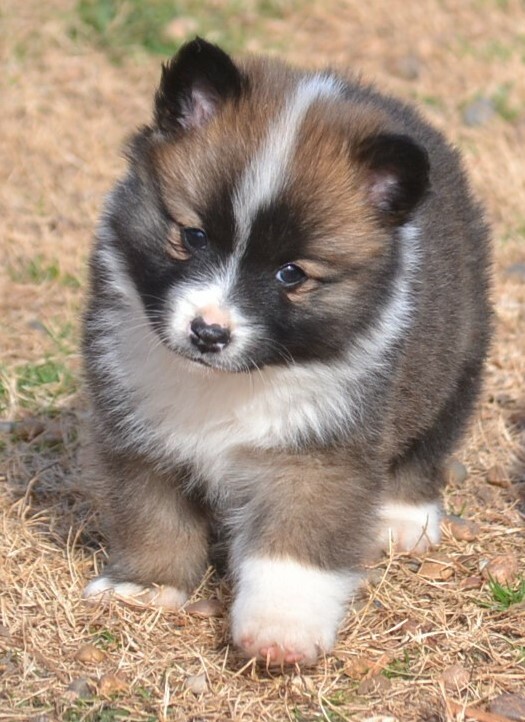 A dog that is a combination of dark and light colors is easiest to see in difficult terrain, and the Icie should never be primarily white due to working in snow. 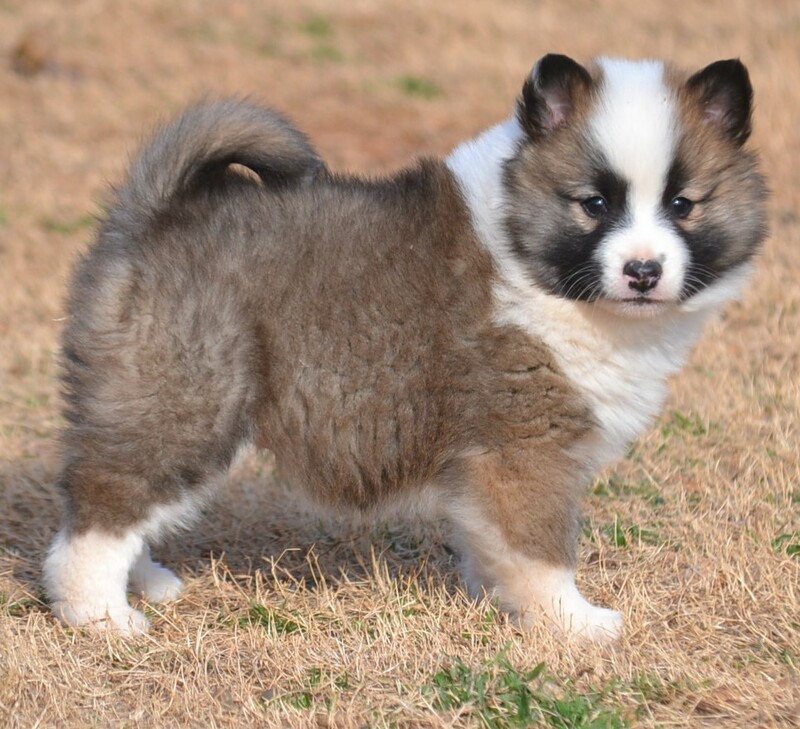 The colors of the Icelandic Sheepdog are quite varied, having a predominate color along with white markings. They come in various shades of tan/red, black tri-color, chocolate and wolf grey. Tans/reds may have black hairs interspersed through their coat and black tipped hairs along with a black mask (clear sable/tipped sable.) 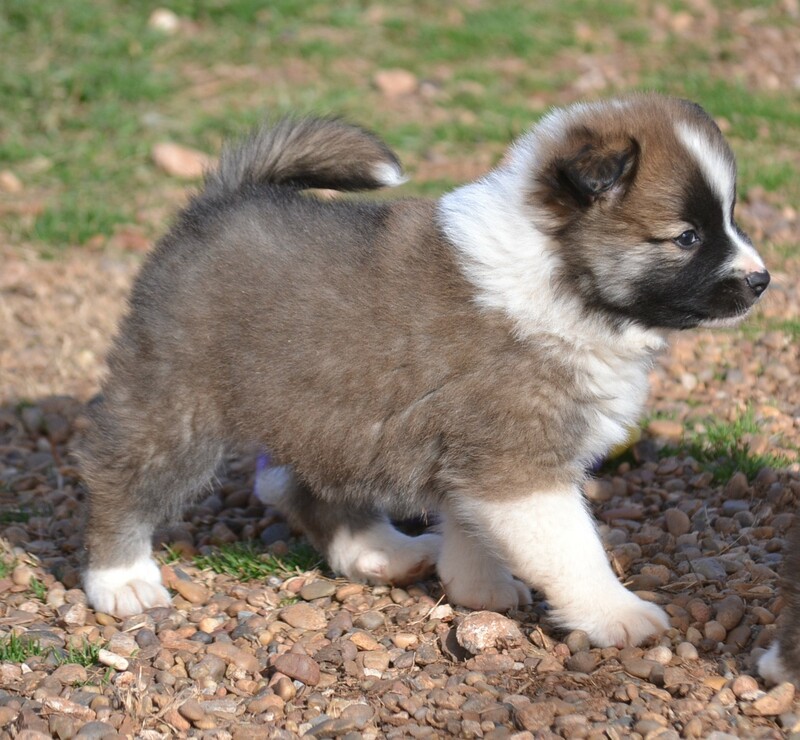 Black-tri color Icies have the typical black with tan markings along with white trim. Chocolates and wolf grey are much less common. Lighter shading on the underside of the Icie is very common and perfectly normal. 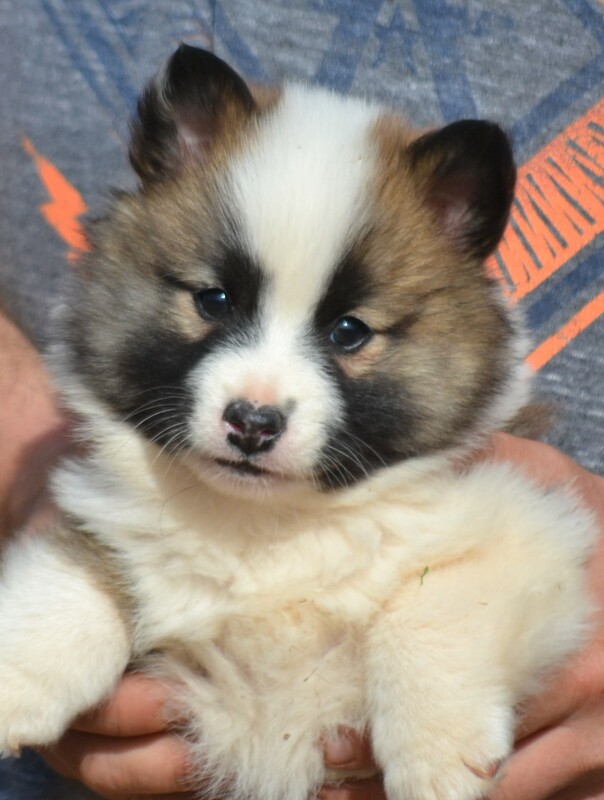 Essentially all Icies will have white markings, and white markings are most often irregular and located on the face, feet/legs, collar and tip of tail. Icies may also come in pied, with patches of color on a white background. Icies should never be predominately white, and other color faults include solid black mantle or tan/red dogs that have a saddle. 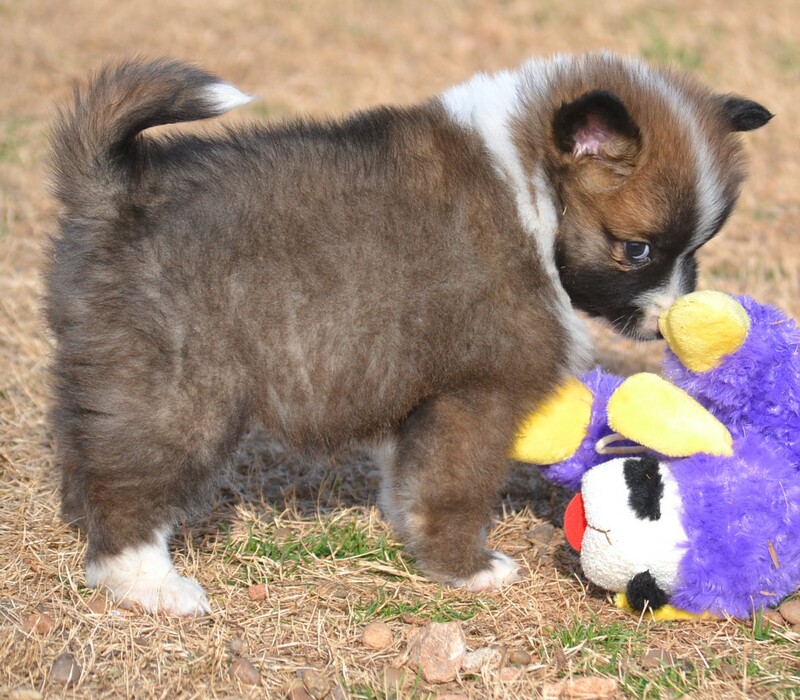 The Icelandic Sheepdog is primarily quite a healthy breed with few health issues. Breeding dogs should be tested for hip dysplasia and luxating patellas, as well as have their eyes checked for cataracts. Dogs we own/Dogs we've bred. An outstanding representation of the breed, Reika will take our program up and onward. Our first Icelandic, and the dog that made us want another. Our young hopeful, soon to hit the show ring. 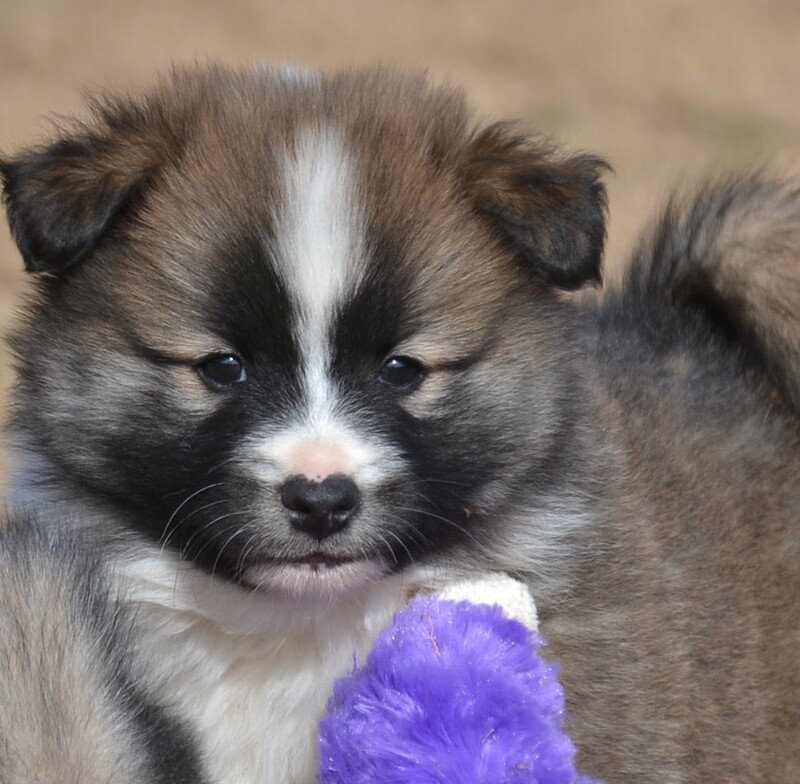 We are thrilled to have our first litter from Reika! She passed her health clearances with OFA Excellent hips, Normal Elbows, Normal Patellas and Normal Eyes. 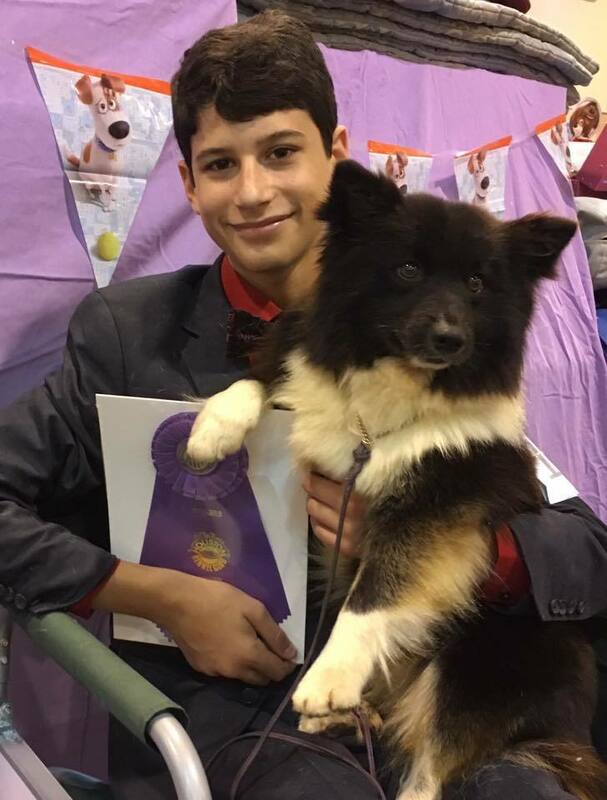 We bred her to our own young promising boy Smali, who passed his preliminary clearances with OFA Prelim Excellent hips, Normal elbows, and certifies Normal Patellas and Normal Eyes. 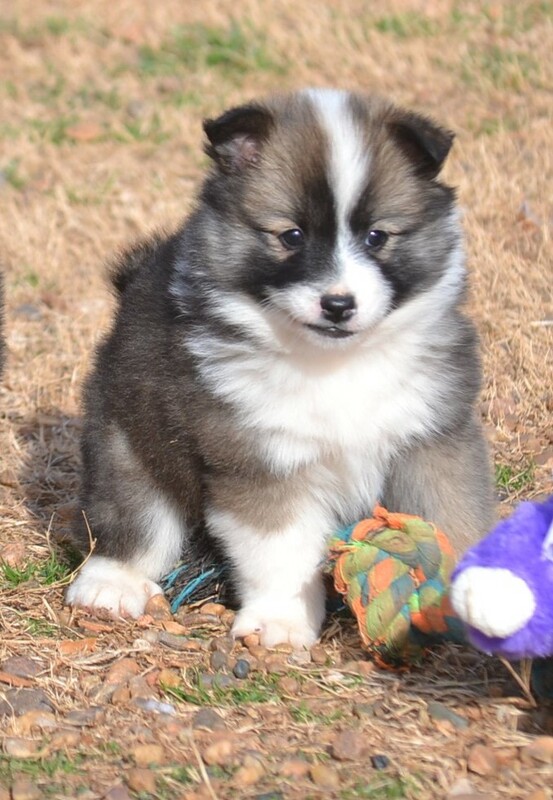 The quality of this litter is simply staggering. 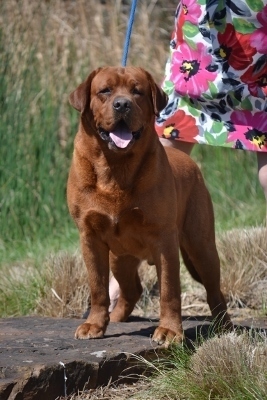 Sire: Isneista Bayshore Smali At Liberty Run "Smali"
Dam: GCH CH Liberty Run's Isneista Reika "Reika"